The Chief of Staff, Akosua Frema Osei-Opare, has directed a 30-day suspension of Dr. Louise Carol Serwaa Donkor over a recent comment she made on Facebook, which has been described as offensive by some members of the governing New Patriotic Party (NPP). 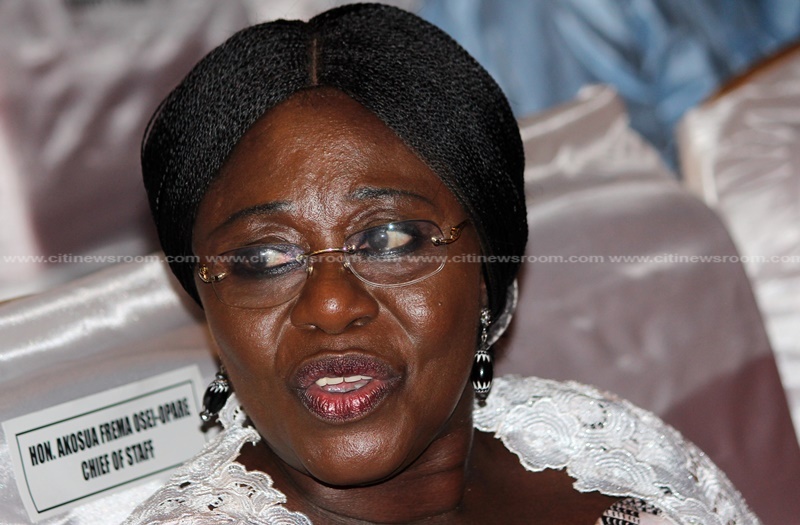 Dr. Louise Carol recently came under intense criticism from members of the New Patriotic Party (NPP) over a comment she made on Facebook. Scores of members of the NPP including footsoliders and fanatics on social media, descended on the staffer, who eventually issued an apology for the comment. In her apology, she gave a long history of her loyalty to the party among other details which some considered unnecessary. However, the Chief of Staff found it necessary to suspend her for her conduct. 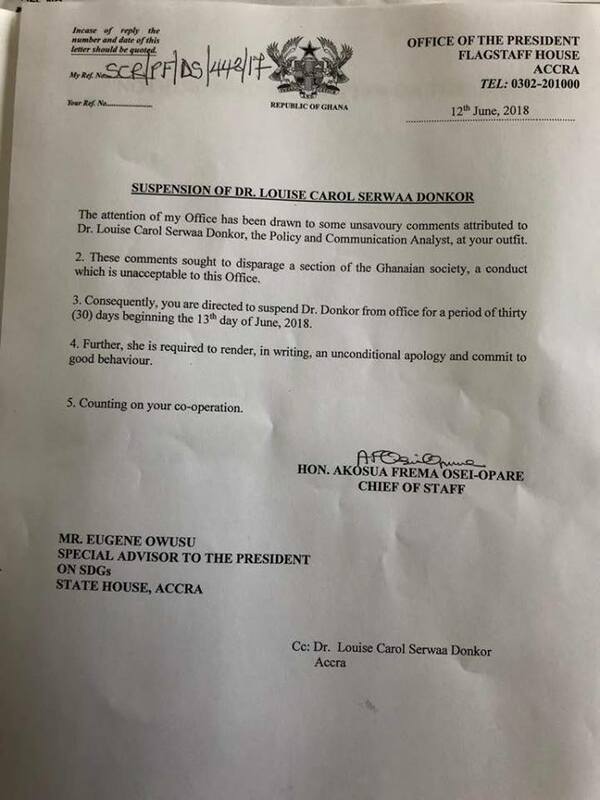 The memo, which was written to Eugene Owusu, Louise Carol’s boss, further directed that she is made to write an unconditional apology and commit to good behavior. Scores of government officials have been challenged on different occasions on social media for various comments many deemed unsavory, however very few of them have seen sanctions such as being meted to Dr. Louise Carol. Presidential staffer, Clara Napaga Tia Sulemana and former deputy Agric minister, William Quaitoo have both suffered a similar fate in the past. Dr. Louise Carol is known as a voiceforous human rights campaigner, and is a founding member of feminist group, Pepperdem Ministries.